Here are some complete video game music soundtracks recorded with Arachno SoundFont, meant to be used with the original video game to enhance its music. If you recorded such music pack with Arachno SoundFont, I invite you to contact me to be featured on this page. I also invite you to discover some tracks made by the Arachno SoundFont users and the YouTube playlist dedicated to their work. Made by NightFright. All the music tracks from Icarus: Alien Vanguard, a 32-level patch WAD (PWAD) extension for DOOM. Audio files recorded with Arachno SoundFont. All versions included, this arrangement totalizes 4201 downloads so far. Made by NightFright. 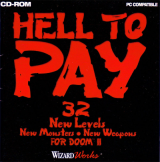 All the music tracks from Hell To Pay / Perdition's Gate, two sets of additional level extensions for DOOM. Audio files recorded with Arachno SoundFont. Made by NightFright. 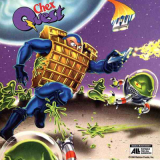 ﻿All the music tracks from the Chex Quest game series, recorded with Arachno SoundFont. All versions included, this arrangement totalizes 3536 downloads so far. Made by NightFright. All the music tracks from TNT: Evilution, a series of additional DOOM levels known as "Final DOOM". Audio files recorded with Arachno SoundFont. All versions included, this arrangement totalizes 6941 downloads so far. Made by NightFright. All the music tracks from the DOOM game, recorded with Arachno SoundFont. All versions included, this arrangement totalizes 5983 downloads so far. Made by NightFright. All the music tracks from the DOOM II: Hell on Earth game, recorded with Arachno SoundFont. All versions included, this arrangement totalizes 4311 downloads so far. Made by NightFright. All the music tracks from the Duke Nukem 3D game, recorded with Arachno SoundFont. All versions included, this arrangement totalizes 2578 downloads so far. Made by NightFright. All the music tracks from Plutonia Revisited, a 32-level patch WAD (PWAD) extension for DOOM II: Hell on Earth. Audio files recorded with Arachno SoundFont. All versions included, this arrangement totalizes 3367 downloads so far. Made by NightFright. All the music tracks from Plutonia 2, a 32-level patch WAD (PWAD) extension for DOOM II: Hell on Earth, unofficial sequel to The Plutonia Experiment, a project initiated in 2000 to be ultimately completed in 2008. Audio files recorded with Arachno SoundFont. All versions included, this arrangement totalizes 3634 downloads so far. Made by NightFright. All the alternative music tracks from The Plutonia Experiment, a series of additional DOOM levels known as "Final DOOM". Audio files recorded with Arachno SoundFont. All versions included, this arrangement totalizes 6404 downloads so far.